Een van de Amerikaanse veteranen en recordhouders, op het gebied van lange afstand schieten, is Dan Perry. Hij is gespecialiseerd in primitieve houten bogen. Hij schreef er een artikel over in het blad Primitive Archer (Volume 12, issue 1, 2004?). Hierin besluit hij open kaart te spelen en zijn geheimen prijs te geven. De 3 hoofdprincipes die hij noemt gelden echter voor alle bogen. Want zeg zelf: wie wil niet zo hard mogelijk schieten, met zo weinig mogelijk moeite? Vandaar dat het me nuttig leek de hele tekst hier weer te geven. Today there are only a few of us left in the U. S. Where flight events in European and other countries may draw participants by the dozens, even hundreds I’ve been told, our Nationa1 Flight Championships often draw only a handful of dedicated archers. Our fellow flight archers, from overseas and down under, are very talented. They are often overcoming dismal conditions to take records set by U.S. archers under good conditions! If the trend continues, the U. S. flight archers may find themselves travelling overseas to compete! In the past, I have tried to stir things up a bit. I all but called bowyers who build yew and osage bows, “Sissies.” I dared them to come out and compete against my hickory and maple bows, all to promote flight archery. The truth is, one of the records I have held since 1988 was set by a YEW bow I built. I did push it back another 15 feet last year with a hickory bow I built for a friend, Charlie Johnson, but that is beside the point. As I admitted before, the design you use is more important than the wood you use. I would apologize to all of you yew and osage bowyers, but I have too much fun teasing you! Since you didn’t show, I am afraid I may have intimidated you. So I will now do the unbelievable! I will show you how to build wood flight bows and tackle that will be capable of taking any of my world records, or any world record set by a bow I built. This may set a precedent, since flight bowyers tend to be a tight lipped lot when it cornes to sharing their bow building secrets with anyone! I can’t say that I have ever seen one do it. I have already shared my top secret reflex design, so what the heck! It has been said that a prophet receives no respect in his own city. This point was driven home to me when I let a friend watch as I glued up my top secret reflex flight bow. “That’s all” he said sounding disappointed, as if he had expected something magic! 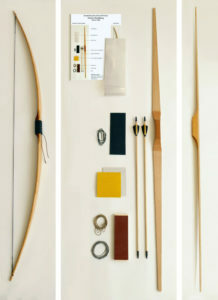 A bow design element doesn’t have to be complicated to be effective. The most important ones aren’t. But magic they are! Especially when you finally try the right combination after all those average bows! If these design elements seem too simple or familiar, it’s because they are. It doesn’t mean they don’t work. I know two bowyers who have written for this magazine. They should have given you a lot of this information by now. Paul Comstock and Tim Baker understand bow performance as well as anyone I know. Either could build a flight bow that would be competitive. Because of their efforts, I hope some of this information sounds familiar. There are two very different types of flight bows. Regular flight uses very light, efficient arrows, with little drag. These are the top fuelers of flight archery. Speed for the pure sake of speed! Broadhead flight uses heavy hunting arrows with legal hunting points and full hunting style fletching. The basic design elements for the two are much the same. There are a few points where they separate. I will point out the differences where they diverge. 1) Bow design that will safely store more energy. 2) Bow design that wastes less of the stored energy. 3) Building bows with the right moisture content so the bow design achieves it’s potential. You can miss a lot of the smaller factors and still build a great performing bow if you keep to these three basic concepts. While I was attending college, my good friend and professor, Don Burge, would record data on the new bows I built. He would start with a force draw curve, dimensions, and end by recording the performance of each bow. Don would then use some formula he had to determine how efficient the bow was. He may not have thought I was paying attention, but I noticed the lighter bows were more efficient. When I say lighter bows, I don’t just mean draw weight, I am referring to mass. I learned that just because I built a bow with a great force draw curve, it didn’t guarantee that the bow would out perform a bow with only a fair force draw curve. When I realized that a11 three concepts had to work together, my flight bow performance greatly increased. Bowyers from all over the world call me and ask how they can get their Perry Reflex bows to perform as well as mine. I have them explain how they are building them. Most of the time they are frustrated because they have built a bow with a great deal of reflex that has a great force draw curve, but they are losing all of the increased potential by overlooking concepts 2 and 3. I could write an entire book on different ways to blend and compromise these three concepts and other design elements for a desired result. All you really need are a few examples. I am afraid I have confused bowyers in the past by telling them they need to keep their bow mass light, and in the next breath tell them to uses dense heavy wood. Let me clarify this point. Dense heavy wood has tighter grain that is less likely to lift or splinter in a high strain application. It is also stronger in compression and tension. Less wood is needed for the same draw weight. Hence, a NARROWER, lighter limb with less wind resistance. Did I say wind resistance? Lets look at this concept closer. Just as a narrow paddle takes less energy to push through water than a wide paddle, a narrow limb takes less energy to push through air than a wide one. Air is not a vacuum. It takes energy to push through it quickly. Imagine trying to stand up in an 80 mile an hour wind. Then picture how fast the bow limbs have to push through air to propel a flight arrow 250 fps. In the flight game, every trick you use to prevent energy waste makes a difference. 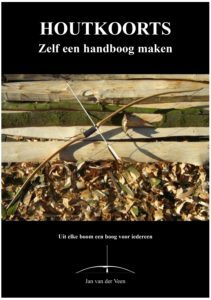 There are different ways to design a bow to store more energy; recurves, levers, deflex-reflex, Perry reflexed deflex-reflex, or a straight bow that is longer with less bend in the tip 1/3 of the limb, to name the most well known. If the method you choose adds more mass to the limbs, especially at the tips, you have just wasted your time. You stored more potential energy, but you used it to do more work. It was used to move the additional mass of the limbs. In a flight bow, mass placement is a key element. Flight bows have light limb tips. Arrow mass is the first divergence of regular flight and broadhead flight bows. Bow length is the second. Flight bows for heavy hunting arrows are longer and have longer draws than regular flight bows. There is nothing efficient about a broadhead hunting arrow. It requires a great deal of energy to move one at greater velocities. You need the extra energy stored by a longer bow and a longer draw. The trick is to keep working limb mass low. The bows that I used to set world records in broadhead flight were 68 to 72 inches long and had long handle sections or stiff non working limbs just after the fade-outs. The center section of the bow that doesn’t bend is at least 17 inches long. The limb tips are narrow, 3/8 of an inch or less at the knock. The limb tips are ideally a little stiff. This makes a long bow with a low string angle and good energy storage. It also has light working limbs that don’t waste it! The draw length was as close to 30 inches as I could get it. Does this sound easy? It is! These are high stress, high strain bows with short life expectancy. This means that they will begin to break down and lose velocity quickly. I have a hickory-backed hickory, Perry Reflex long bow that remained competitive and set new records for four years. That was great longevity for a flight bow. Self bows lose their competitive edge more quickly. After a broadhead flight bow breaks down, it is just a very fast hunting bow. It will still wear out faster than an over built hunting bow, but WOW! It was fun while it lasted. Broadhead flight bows are the stock car racers of flight. Regular flight bows are the top fuelers! When you pull back your primitive flight bow and unleash that sleek arrow and see it speed out of sight, it is hard to believe that your own muscles powered that flight! The fastest primitive flight bow I ever shot was a complex composite class bow made by Harry Drake. It shot several arrows well over 1,500 feet, It was only 1 inch wide, and about 70 pounds of draw. Arrows were 24 inches long of lodge pole pine, Douglas fir, and a good quality cedar. The latter I built from wood I bought from Don Adams. I confess to preferring the light weight flight bows myself. The heaviest regular flight bow I have made for myself was only 57 pounds. These bows have cast arrows as far as 1,080 feet at 50 pounds. Yes, they were hickory backed hickory, Perry Reflex bows. I have scorched the sky well over 900 feet, many times, with self bows 50 pounds and less. My son Scot, launched an arrow over 720 feet with a 25 pound hickory self bow. This is the kind of performance you can expect from your first bow with good arrows if you follow the three basic concepts. Lets look at examples of how they relate to regular flight bows. Regular flight arrows are light, beautiful-, sleek, efficient creations designed to waste as little energy as possible. Because these arrows are so light, (as little as 140 gr.) They don’t have the huge energy requirements of the’ broadhead bows. These bows are short, (to a point), and light, (wasting no energy may be of greater importance than storing more energy.) The bow is all but dry fired. The trick here is keeping the limb mass as low as possible, while still storing a good amount of energy. That is a trick. Short bows store less energy. The Turks figured it out 1,000 years ago. Since they needed the bows short and light, they stored more energy by using high early draw weight, a long draw, (at least 26 to 28 inches) and force levers to keep the bows from stacking too much. The high early draw weight was accomplished by extreme reflexing of very elastic, materials (horn and sinew.) Using an overdraw device worn on the hand, they kept their arrows short, light and efficient, while storing more energy with additional inches of draw. The levers were made of light strong wood and spliced to the limbs to keep mass lower at the tips. There is a class for Turkish bows if you wish to build one of these bows. If you want to use the principles, but modify the design, there is the complex composite class. The selfbow my son used was a 60-inch-long hickory bow with a handle 5 inches long, 2.25 inch long fade-outs, 1.5 inches wide at the fade-out, mid-limb just over .75 inches wide, .375 inches wide at the knocks. The outer 1/3 of the limbs is very light and narrow, but is tillered to be a little stiff. Add a little width to the mid-limb, and build to 50 pounds, and you have a world class self flight bow. This design is for a dense hickory board from your lumber store. It might cost you $7.00 and take you a whole afternoon to build! But you can use “any” dense, hard, bow wood for this design. 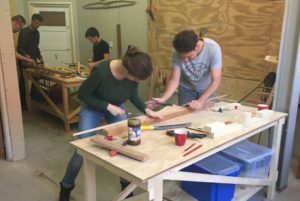 Adjust width at mid-limb for the density of the wood you are using, keep the tips narrow and light and go for it! It is SSOOO easy! Lets discuss the third concept. If you don’t get this right, you will have a dead stick instead of a world class flight bow. The wood has to be dry! Period! End of story. How dry? If you want to take home a medal, it better be below 7 percent moisture content. I know some of the bows that I have done well with have been 5 percent or less! Not hard to do in my desert climate. The Turks dried their bows out before competition. You can too. Hickory holds together well at low moisture contents. Because hickory tends to hold on to it’s moisture well, it has been given a bad rap by some in humid climates. When you need a bow to hold together at low moisture for flight, it’s the champ. Arrows are 50 percent of the equation. Bows are simple. Arrows are ART! Arrow woods that I use are cedar, lodge pole pine, and Douglas fir. Lodge pole pine and fir undercut a little when you work them, but are stiff and light. When I was studying Turkish archery in the early ’80’s, I read that the Turks believed that weight forward arrows would shoot the farthest. The example that was given compared flight arrows to the fastest animals, being larger in the front. Here again I could write a book. Lets cut through all the mystery and hocus pocus and get to real facts as I understand them from my tests. A weight forward arrow needs less fletching to stabilize it. If it were heavy enough at the tip it wouldn’t need feathers at all. Tapering to the knock reduces drag. Point heavy arrows do not “sail” or “plane” as well as center or weight rearward balanced arrows. They nose over quicker. This is less of a liability with the strong tail wind the Turks liked to shoot in, with “the clouds galloping across the sky.” Weight forward arrows also tend to have narrower, weaker necks that I am not fond of. The weight forward and weight rearward arrows may outperform each other under different wind conditions, but over all I prefer a center balanced barreled shaft. A center balanced, barreled shaft is a good compromise for any wind condition. It also reduces weight and drag while keeping the spine stiff. If the spine is too light, the arrow will whip coming out of the bow and waste too much energy. We will spend more time on this idea after we look at how to barrel shafts. Barreling shafts is easy. Cut a coarse sanding belt and fasten it to your work bench. I just unplug the belt sander and use it. Hold and spin the end of the shaft with one hand, stroking it along the sandpaper, while pressing it to the sandpaper with the other hand. I taper the point end to about .20 inches and the knock to about .25 to .30 inches depending on the density of the shaft. Before I reach final dimensions I switch to a finer sand paper. I polish the shaft with 400 grit and then steel wool. You want to make the shaft as light as possible while keeping enough spine to prevent the arrow from whipping out of the bow. I have made them as light as 140 grains in a 24 inch flight arrow, Usually the best 24 inch flight arrows weigh between 160 and 200 grains. Before you start shaving your shafts down, let’s look at the Dan Perry arrow spine theory. In racing there is a saying “if you’re spinning, you’re not winning.” In flight archery I have a similar saying, “‘if you’re whipping, you’re not winning.” Just as a race car needs an efficient conversion of energy to velocity, a flight bow requires the same efficient velocity conversion. All other things being equal, the arrow that comes out of the bow the straightest will shoot the farthest. Try throwing an arrow sideways, then point first like a dart and you will understand why. The arrow MUST be stiff enough to leave the bow without whipping. If you make it too light, you will waste far more energy to whipping than you save in arrow mass! If you want to use the ultra light flight arrows you need to plan ahead. Your bow needs to be close to center shot. By this I mean the flight of the arrow will pass through the center plane of the bow, or close to it. Making the arrow thicker will allow it to support the weight when flexed out of a straight line, but more energy is used moving the heavier arrow. A center shot bow doesn’t need the arrow to paradox around the handle. Less energy is wasted and the arrow doesn’t have to be as stiff. If the arrows are so light and thin, how do you put the knocks on? Rub a 5 inch long flat spot on both sides of the knock end, at a right angle to the grain, and glue 2 small pieces of hickory to it for knocks. Sand the hickory pieces to the desired shape. Reinforce the knock with sinew, then fit the knock to the string with a fine, round needle file. Fletching should be 1 inch long and .25 inches high. The primitive class has a minimum arrow length requirement of 23 inches. I use both silk and linen for strings. I have not been very successful with gut or sinew. Make the strings light, but reinforce the loops so they are not cut by the knocks. You are now armed with the meat of what it has taken me years to learn. At least what I feel is most relevant. If I am lucky, I will see you sporting a supercharged primitive flight bow at the flight championships. Dan Perry met een extreme Mollegabet variant. Bezoek ook het Zelf Bogen Maken Archief voor mooie projecten en voorbeelden.